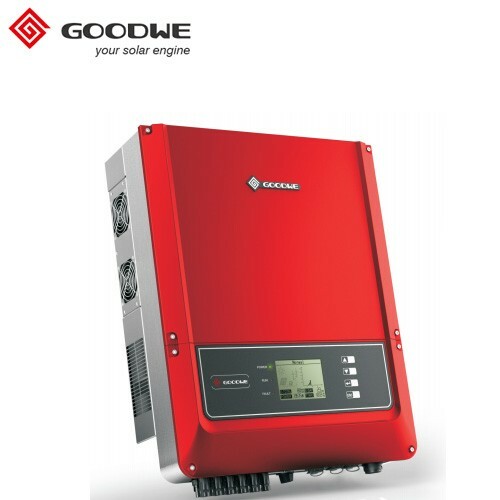 GoodWe DNS series is a single-phase on-grid inverter with excellent compact size, comprehensive software and hardware technology. Manufactured for durability and longevity under modern industrial standards, GoodWe DNS series offers high efficiency and class leading functionality, IP65 dustproof and waterproof, and a fanless, low-noise design. In your WiFi settings connect to the Goodwe inverter (Solar WiFi) then type 10.10.100.253 in the address bar, go to "setup wizard" the password is admin and the username is admin. Select your broadband provider (normally the strongest signal) click next then enter your WiFi password which is normally case sensitive, click next and you will see the sucess message. GoodWe is a leading, strategically-thinking enterprise which focuses on research and manufacturing of PV inverters and energy storage solutions. With an average monthly sales volume of 30,000 pieces in 2017 and 12 GW installed in more than 100 countries, GoodWe solar inverters have been largely used in residential rooftops, commercial systems, and energy storage systems. GoodWe ranked as World Top 10 solar inverter manufacture by Bloomberg, IHS & GTM. GoodWe benchmarks its success on the success achieved by its customers by identifying and integrating the most advanced components and techniques available while offering an unparalleled after-sales service. As a stable, bankable company, GoodWe has built its corporate reputation by achieving sustainable growth in every market it operates in. A prudent, step-by-step approach of strategic growth and consolidation offers longevity, profitable growth and increased market share; a business model also adopted by some of the world’s leading renewable companies.